Shipping containers have been designed to store and transport goods at a great distance, and in a watertight, economically and safely manner. However, there is a curious coincidence that the spaces that have been designed to store and transport merchandise have an adequate human scale. That is, they are valid to project living spaces. This system is a good constructive option being used in many other countries. Ease of transport and variety of containers. Quick construction that favors cost savings. Its cost is less than a traditional construction. Their recycling favors the environment. They are resistant and safe. They are much more harmless to the environment than the traditional construction and that they do not generate permanent alterations in the field. 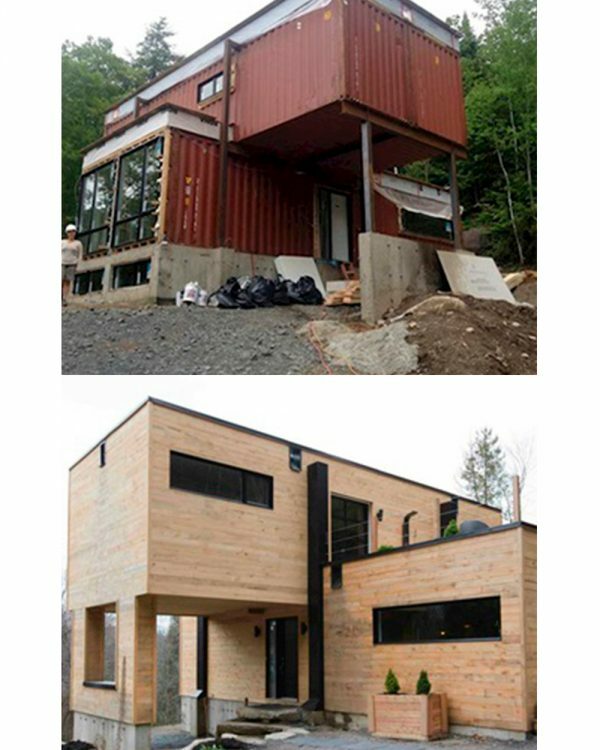 WHY A CONTAINER HOUSE USES TO BE CHEAPER THAN A TRADITIONAL ONE? Work with containers can be mainly planned in two ways: modifying containers in a factory and mounting them in the work, or mounting the bare containers and modifying and adapting them in the work. We choose the second way to build for two reasons that we believe are important: the first is an economic reason that if we take the container from the place of purchase (surely a port) directly to its final place (the plot where the house is to be built) we save transportation. The second reason is more functional. 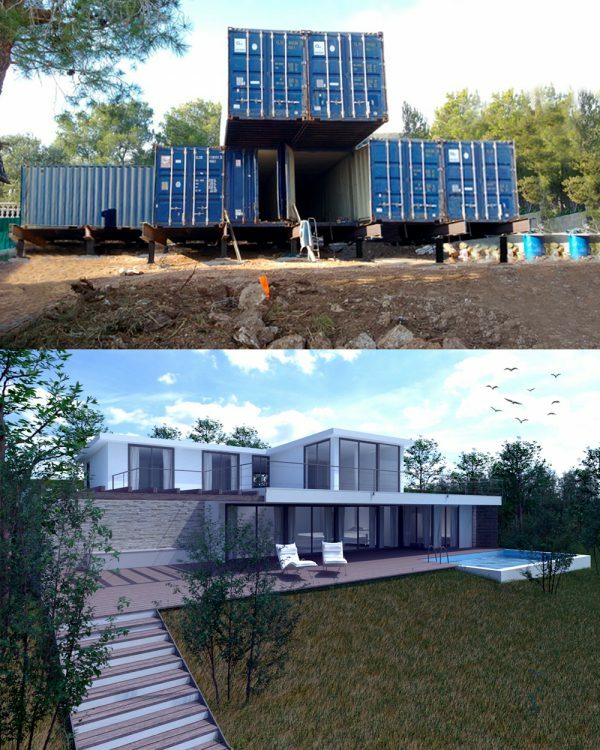 If the container is handled at the work and ends up as a home, the future user of the house can keep track of the evolution of the work more continuously and more accurately. What reduces the cost in containers construction is precisely how quickly the structure is finished. Once the foundations are done, the containers are transported to the work, placed in their final place and the structure of the house is finished. These works can be done in a few hours or lengthen for 4 or 5 days, depending on the transport and the way to stack them. From that moment, only the coatings, finishes and facilities of the house will be left, as in any work else. 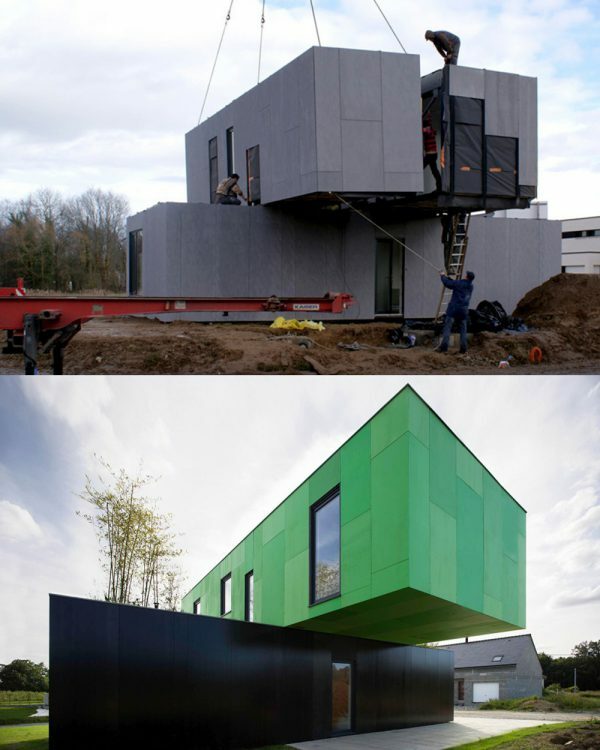 Although it depends on many factors, including the type of plot, finishing qualities, we can give the price of a container house starting at 850 € / m2. The price of a traditional construction house can start from 1.300 € / m2, therefore the saving when building with containers is 450 € / m2. Due to the economic crisis, containers houses are becoming a possibility that many customers would soon reject directly and that today is a going up alternative. If you want to know more, we’ll call you and discuss the project you have in mind.